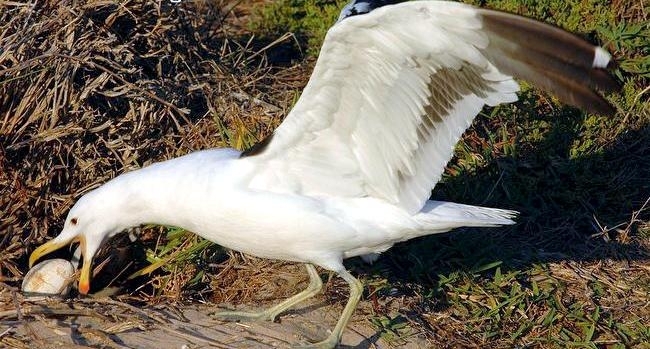 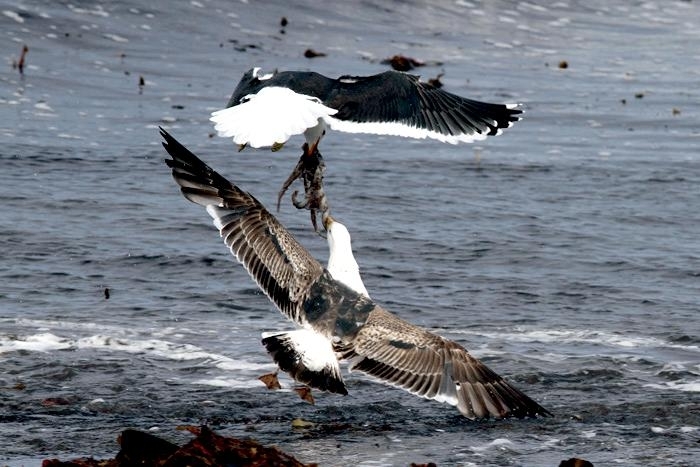 The Kelp Gull also known as the Dominican Gull, lives on the Antarctic Peninsula and most sub-Antarctic islands where it is resident year-round, generally in small numbers and are also broadly distributed throughout southern Africa, Australia, Asia and South America. 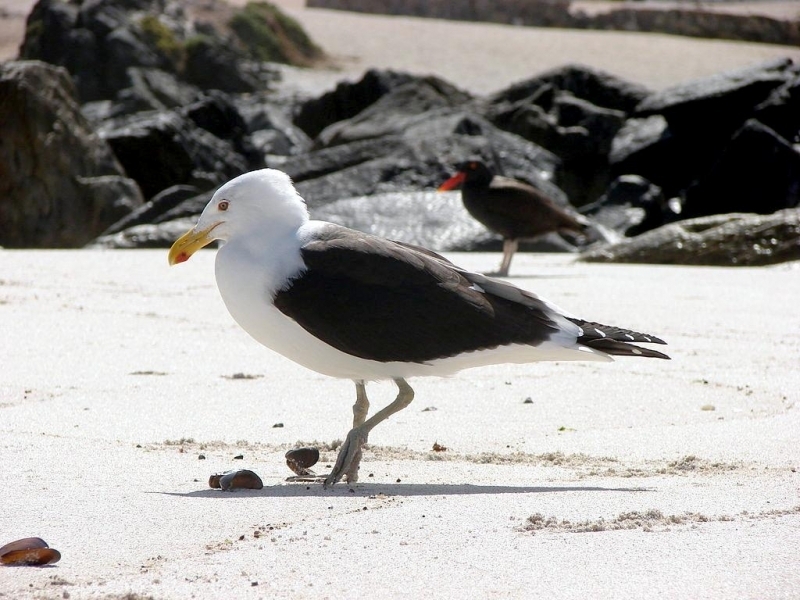 This species gets its common name from its habit of feeding in kelp forests and other coastal, algal ecosystems. 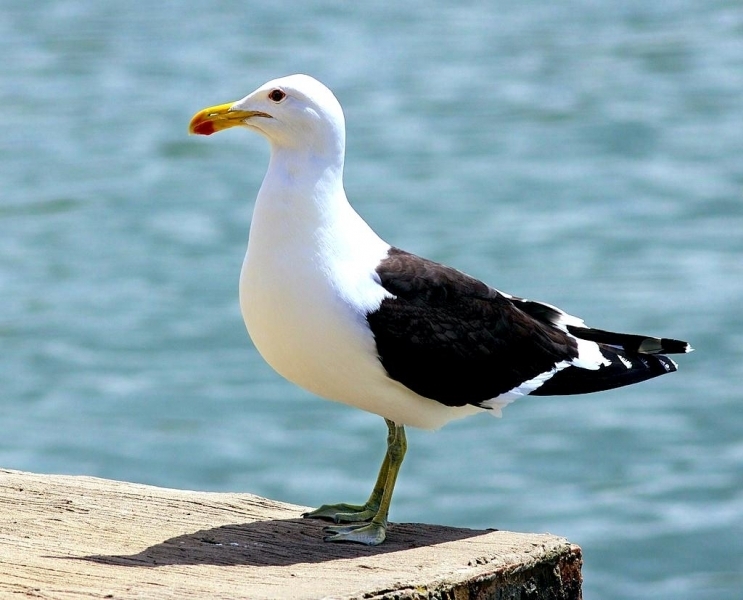 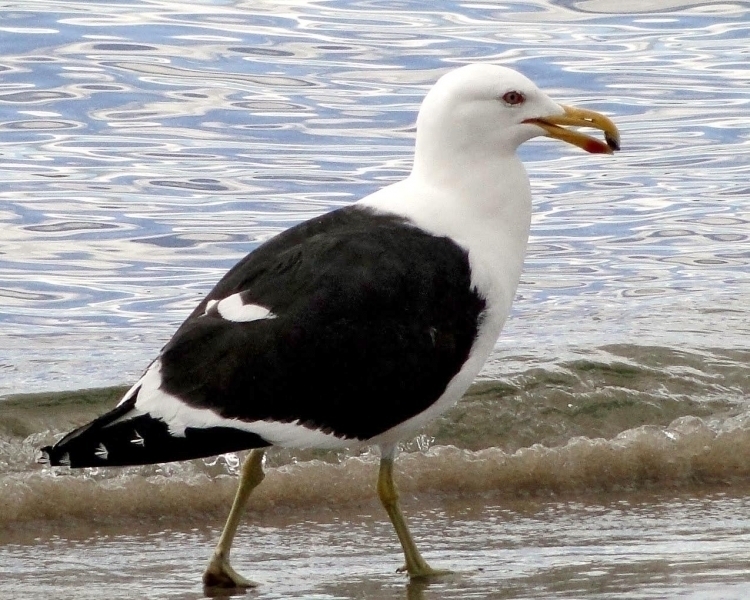 Kelp Gulls have a white head, neck, under-body, rump & tail. 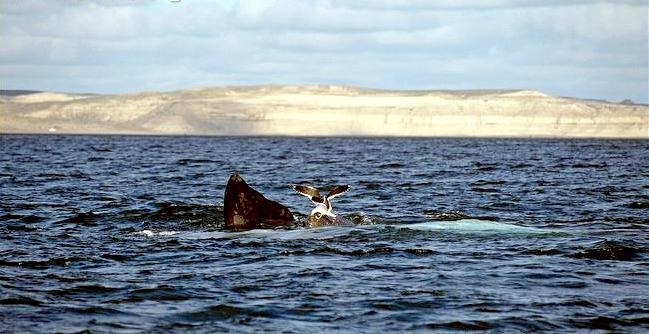 The saddle and upper-wing is slate-black with a white leading edge. 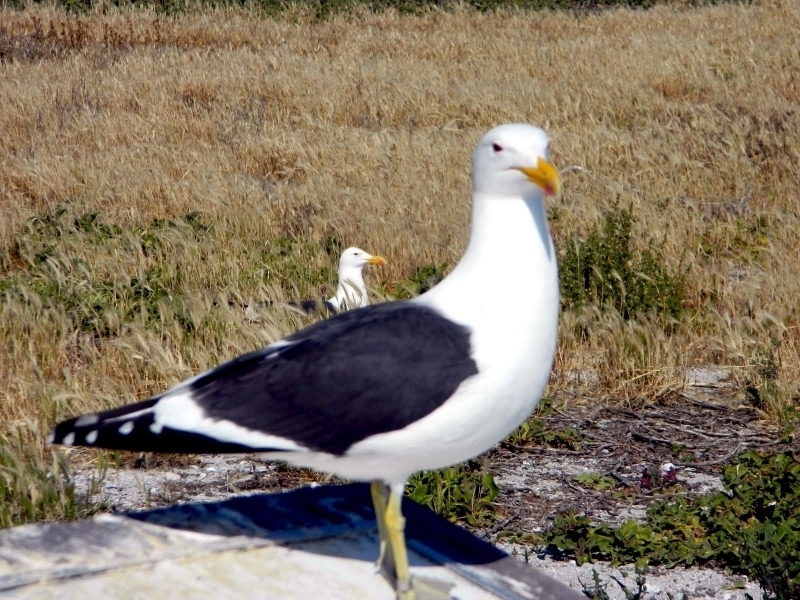 The yellow bill has a rounded red spot at the tip. 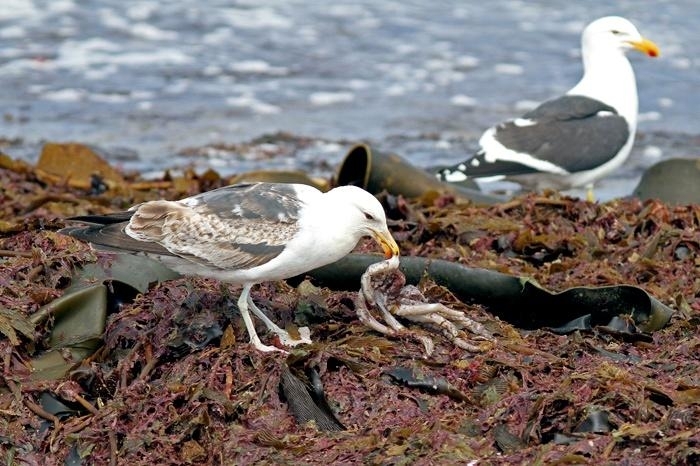 Kelp Gulls are opportunistic feeders, preying on and scavenging mollusks, fish, crustaceans, other seabirds and even their own chicks & eggs. 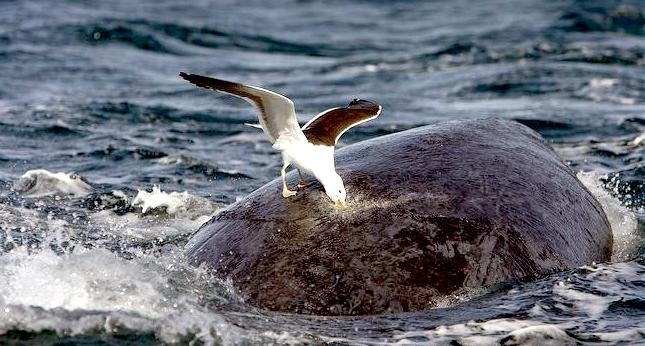 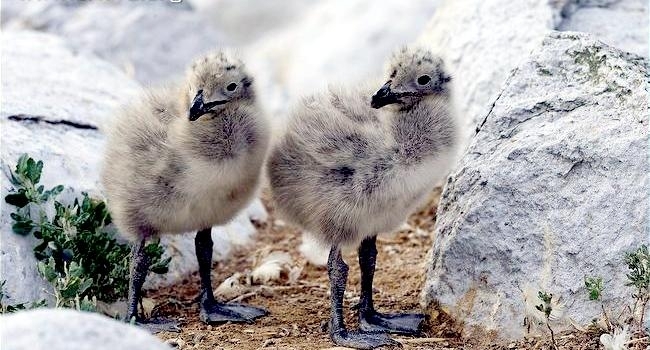 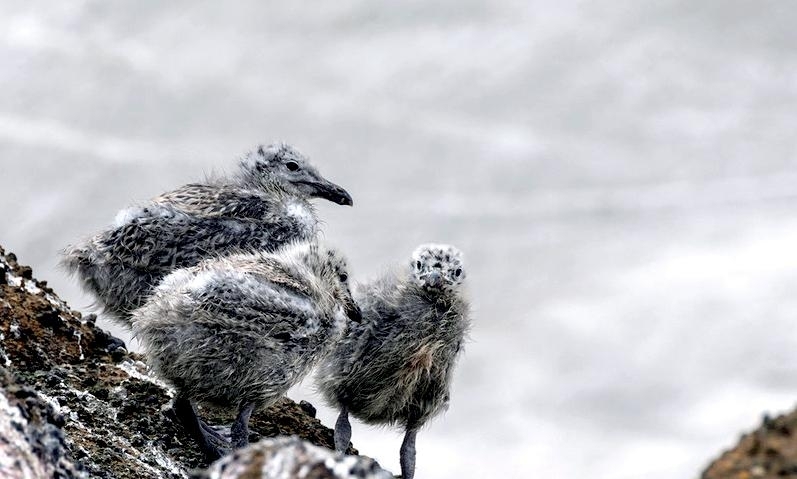 They will consume scraps scavenged from Giant Petrel kills and will frequently raid penguin colonies. 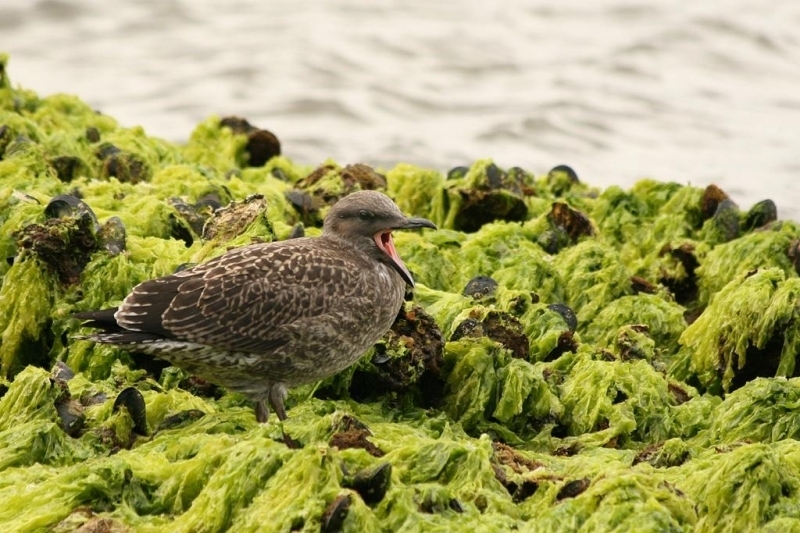 They are also known to feed on terrestrial invertebrates such as: earthworms, moth larvae and inter-tidal shellfish such as limpets. 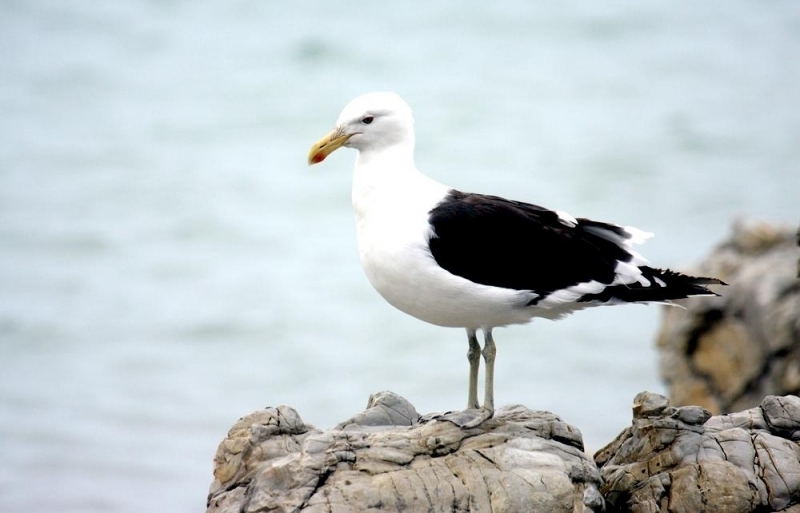 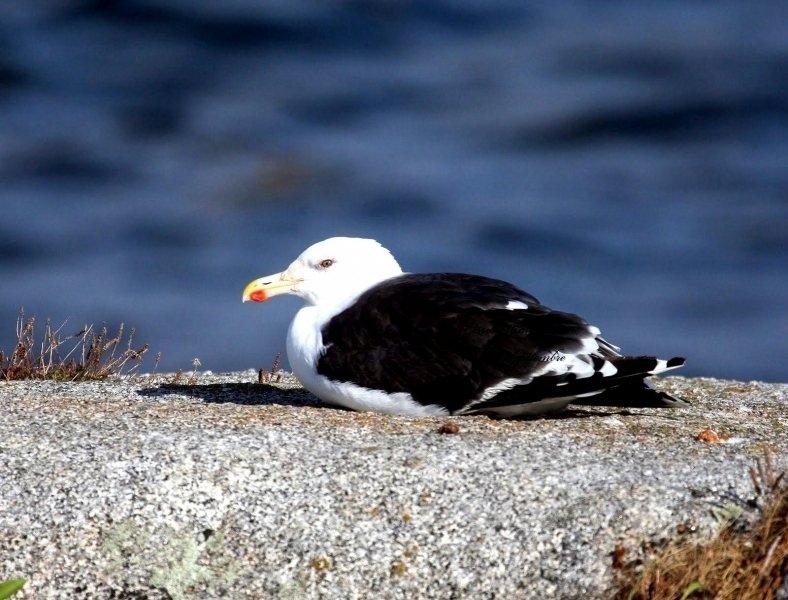 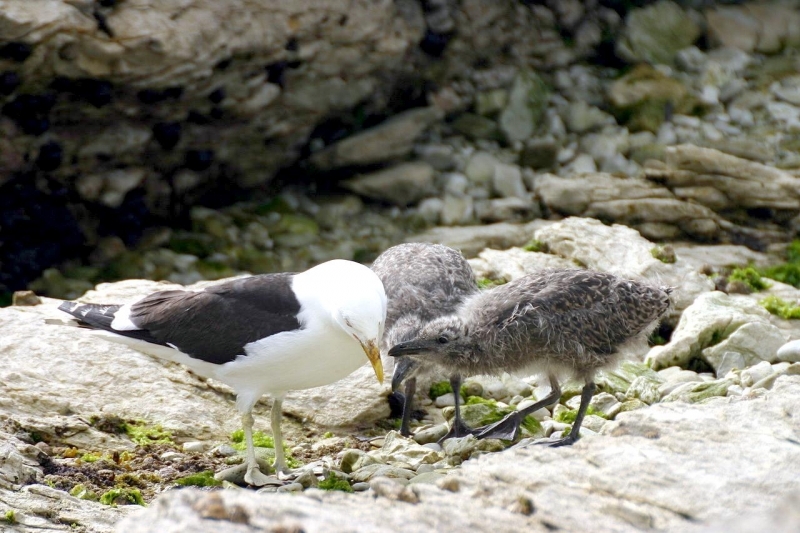 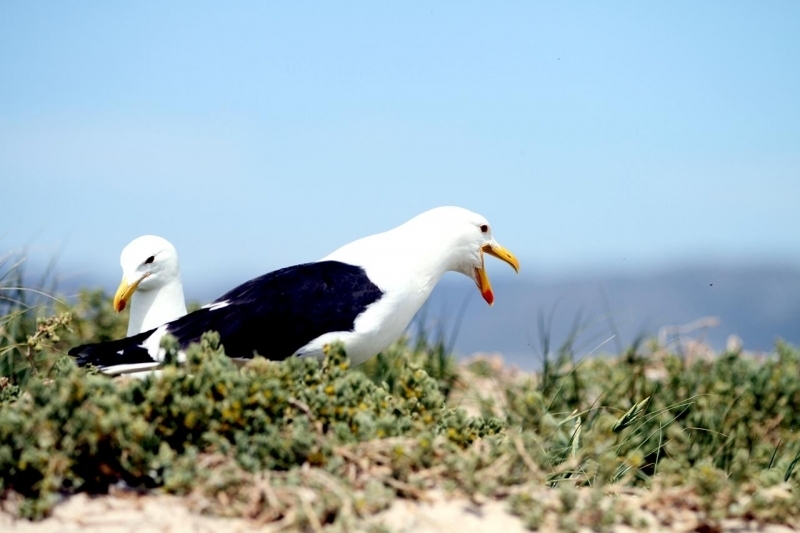 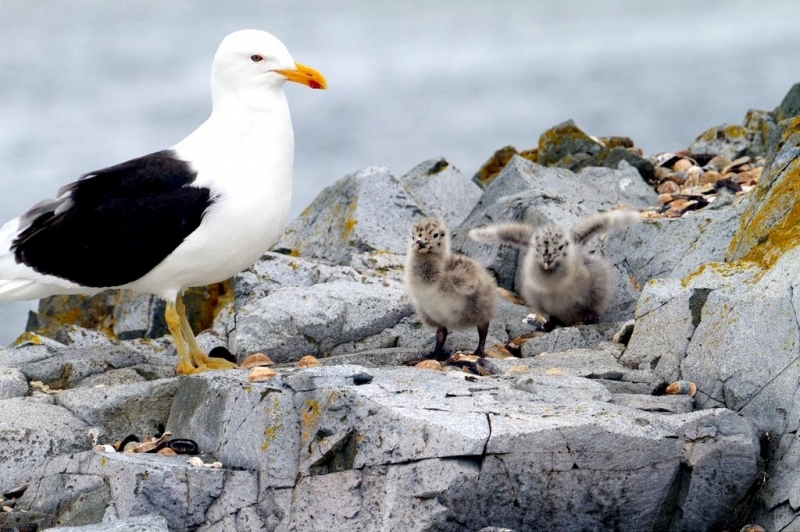 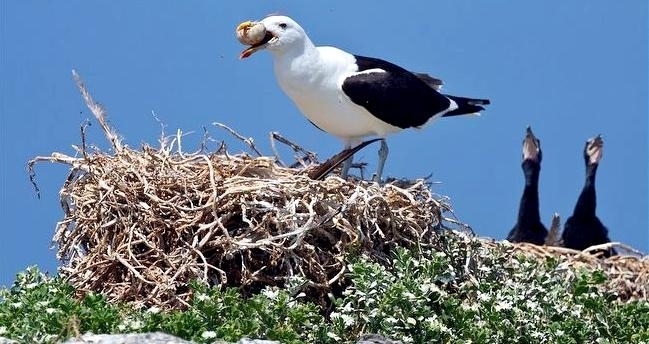 Kelp Gulls nest on beaches, among rocks, grassy headlands, ledges, glacial moraines and offshore islets depending upon the location and suitability for feeding & breeding. 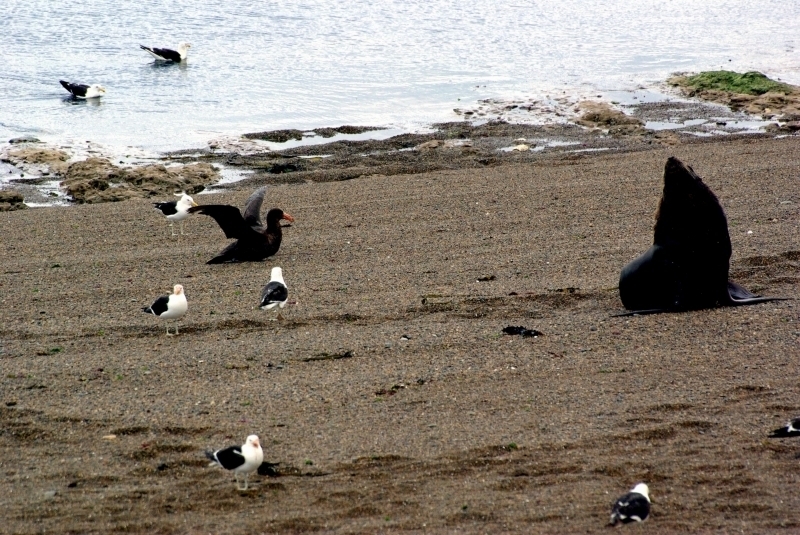 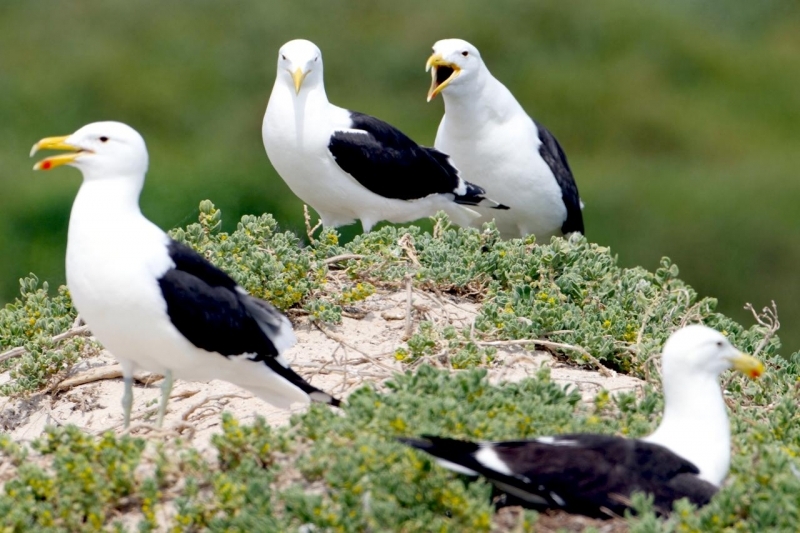 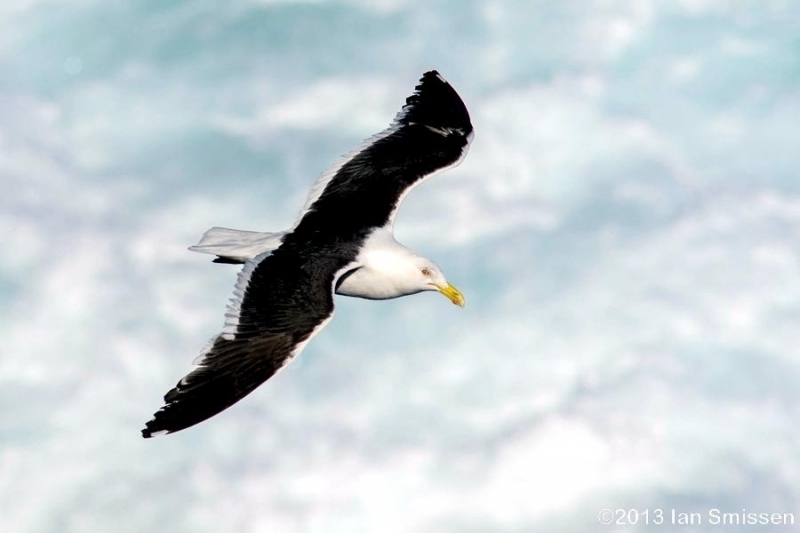 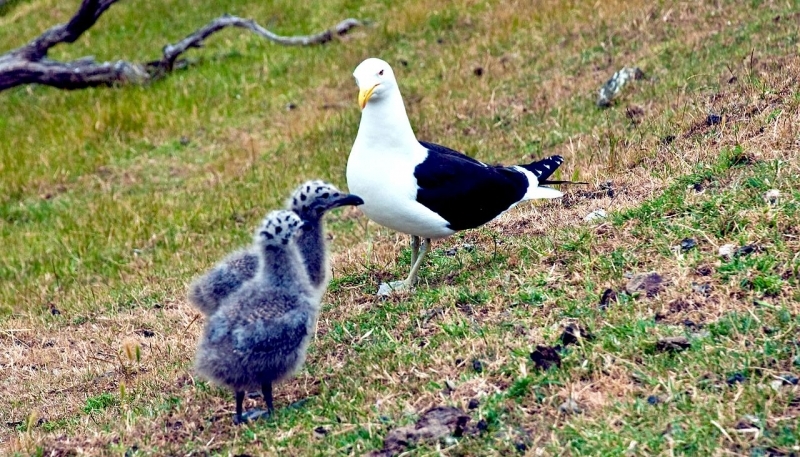 Like most southern seabirds, Kelp Gulls breed in the summer months; November to December in the sub-antarctic. 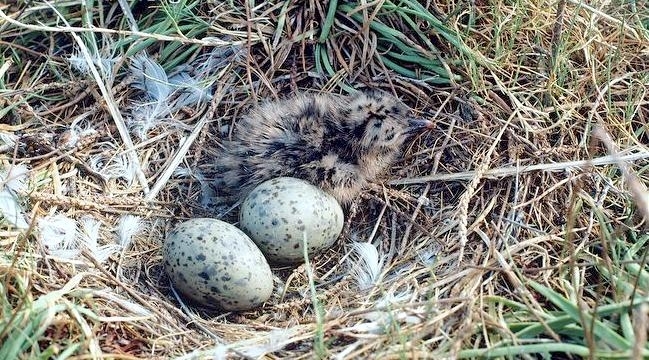 They will produce up to 3 (though usually only 2) mottled eggs in an open nest lined with grass, seaweed, sticks, shells or various debris. 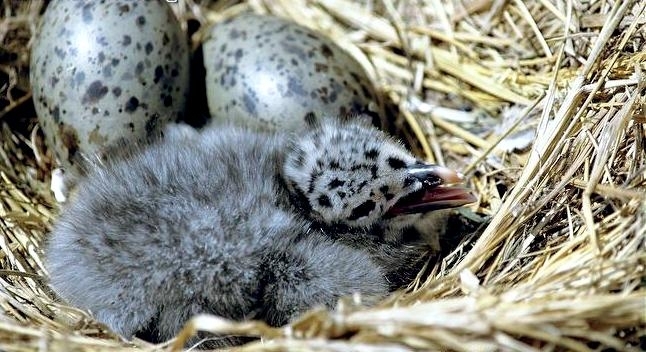 Eggs generally hatch in 23 to 30 days. 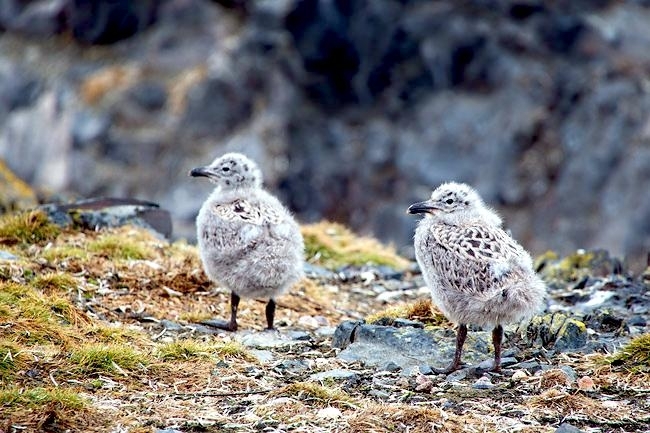 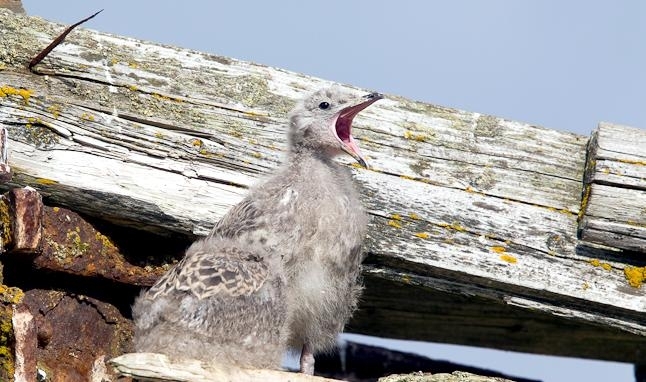 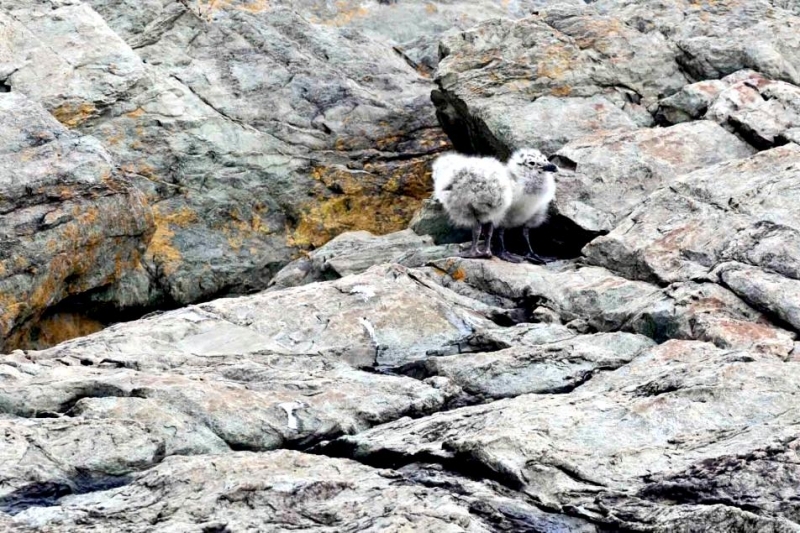 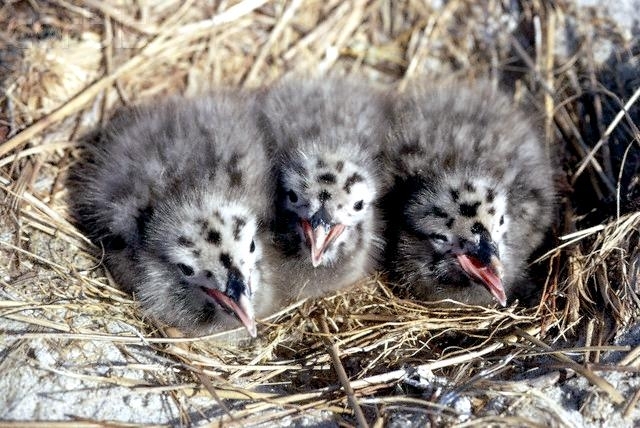 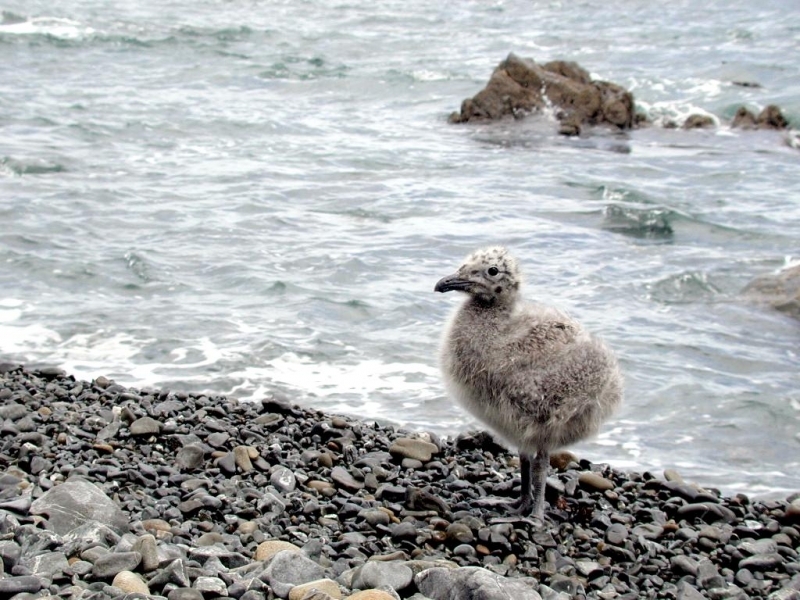 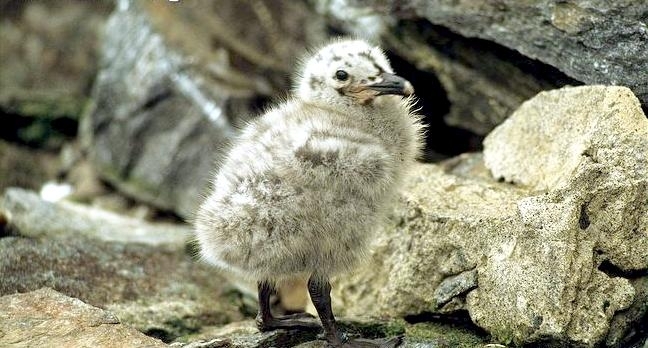 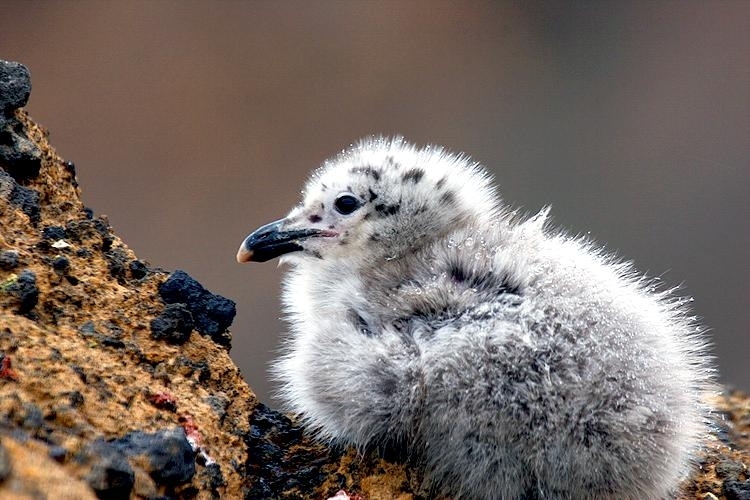 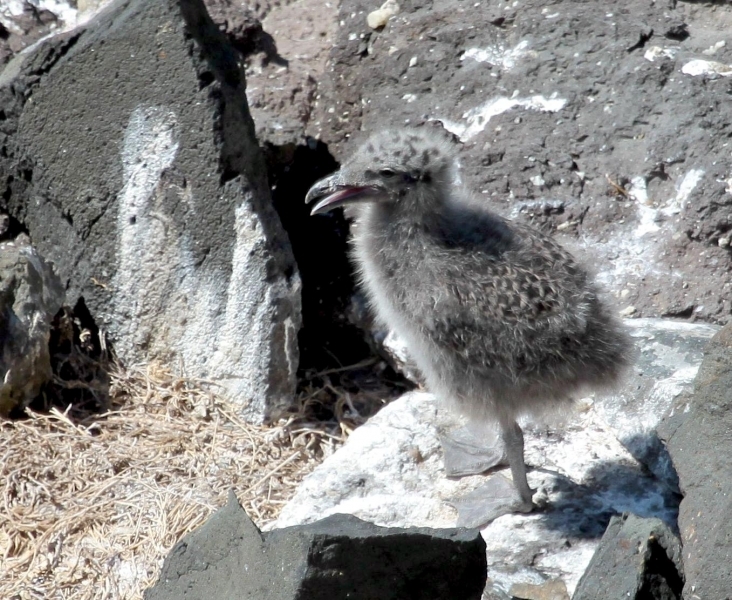 Fledging occurs in 45 to 60 days, although chicks are still fed by their parents until after they can fly. 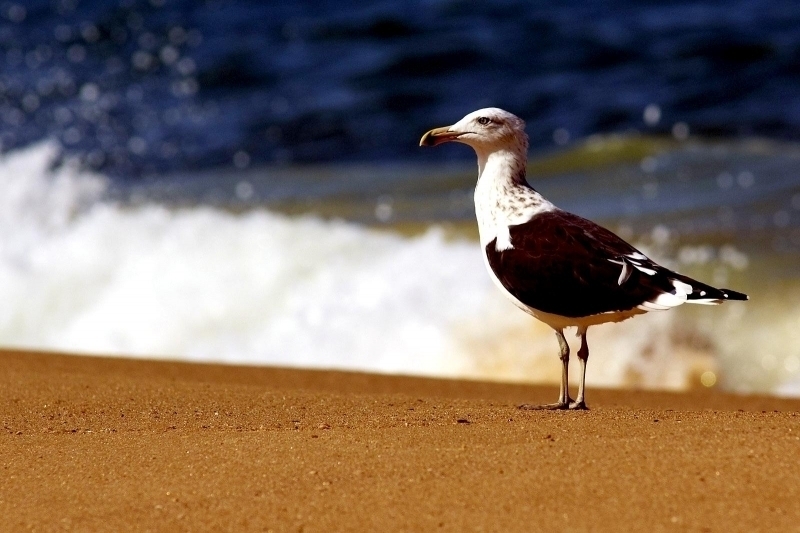 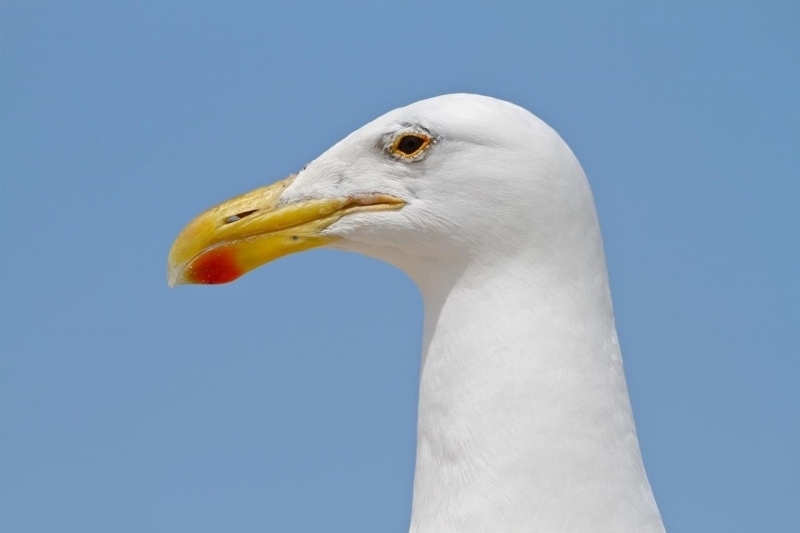 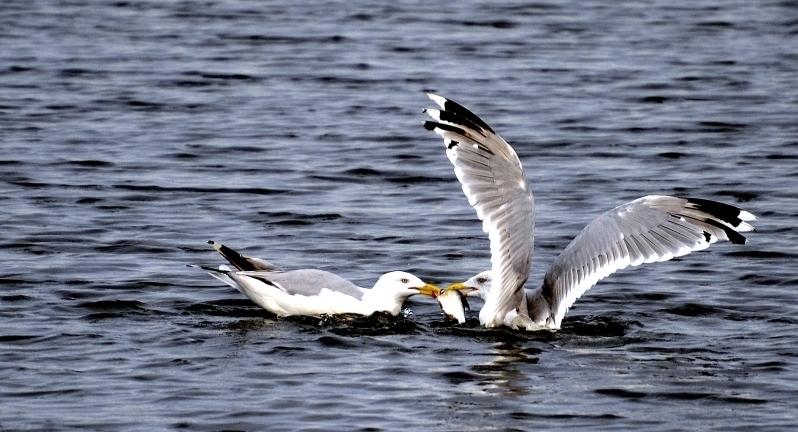 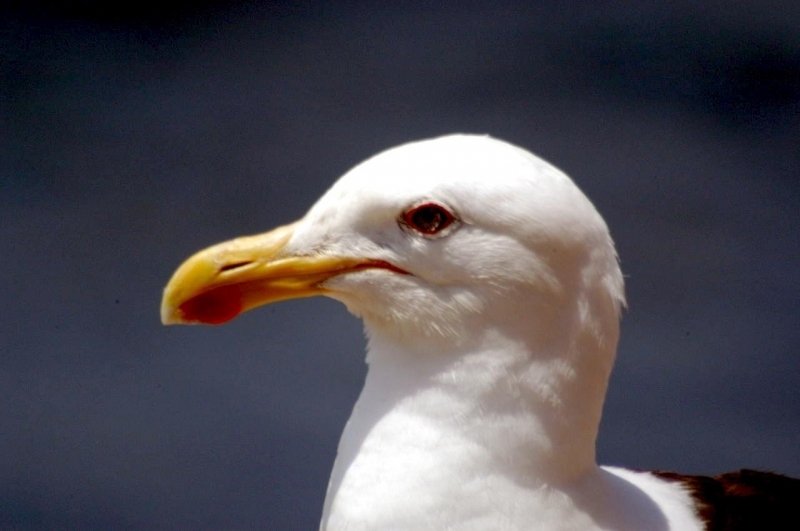 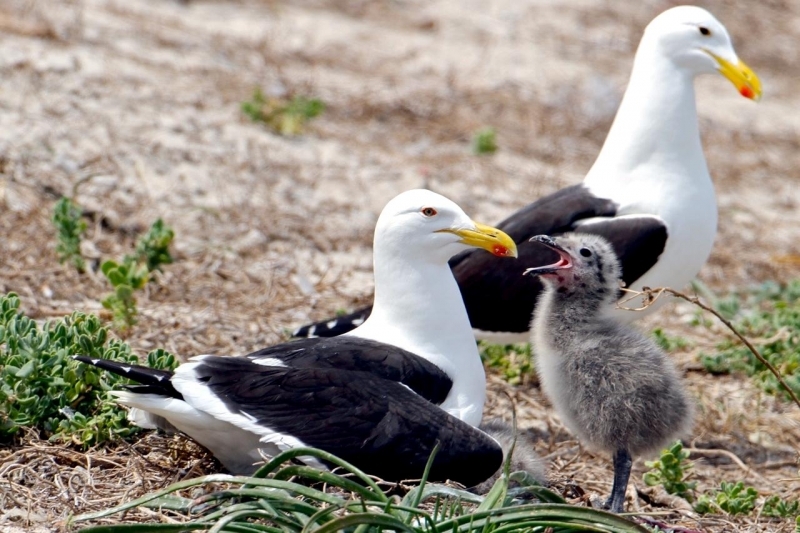 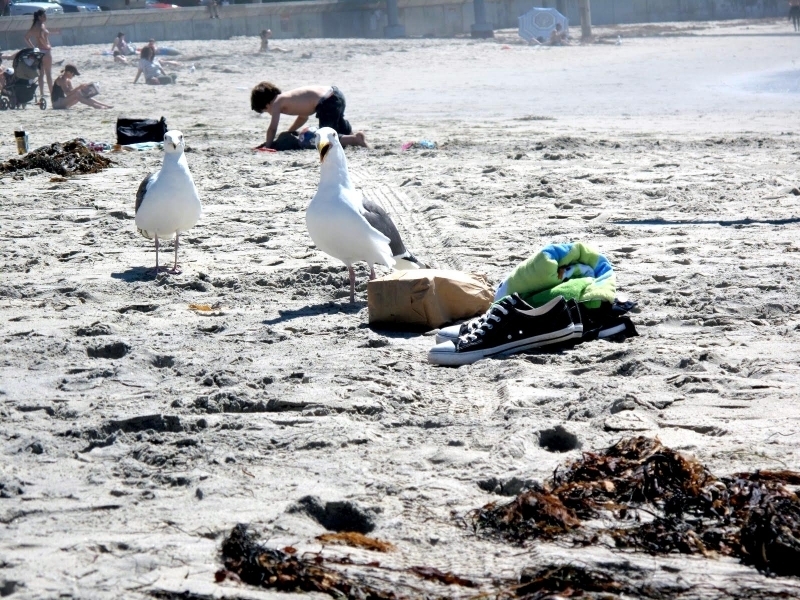 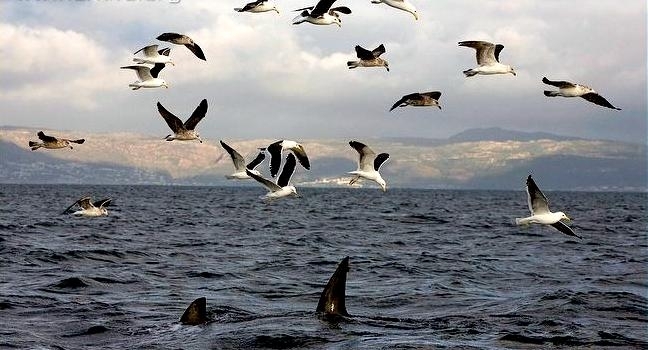 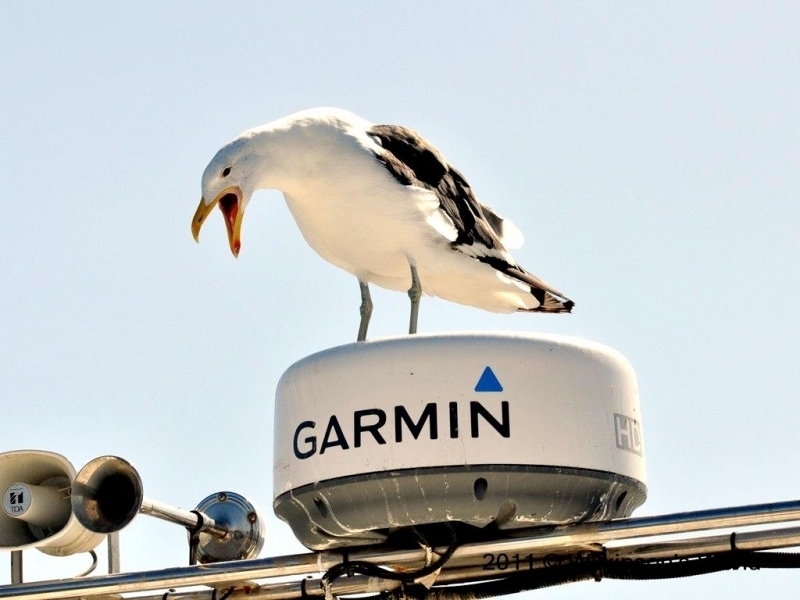 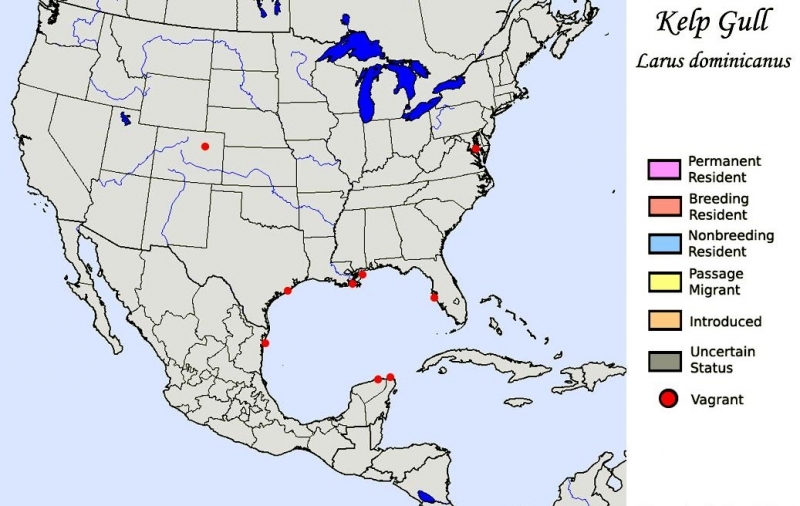 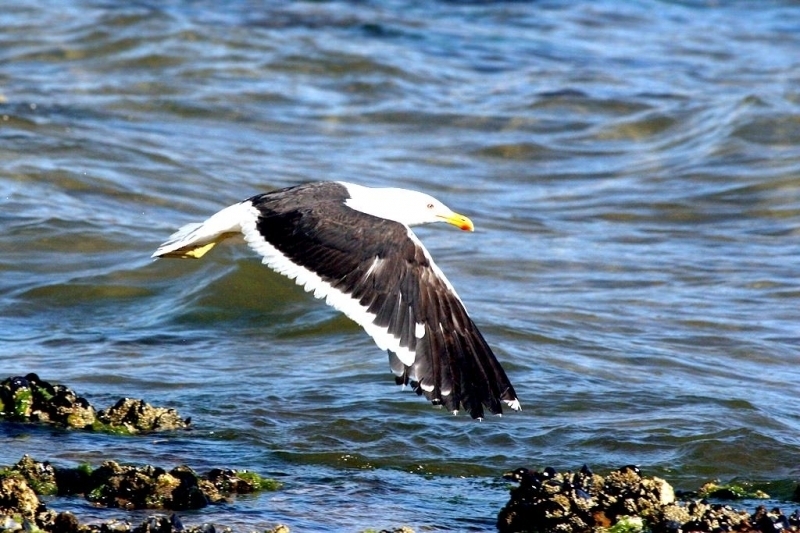 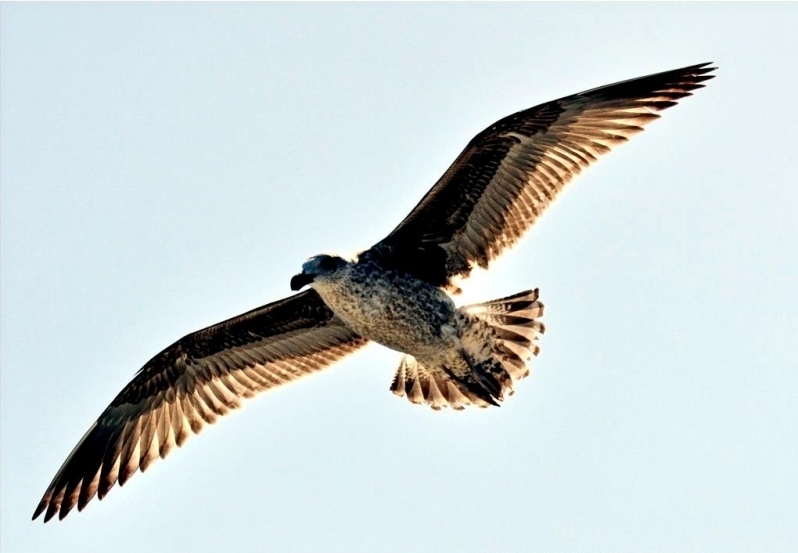 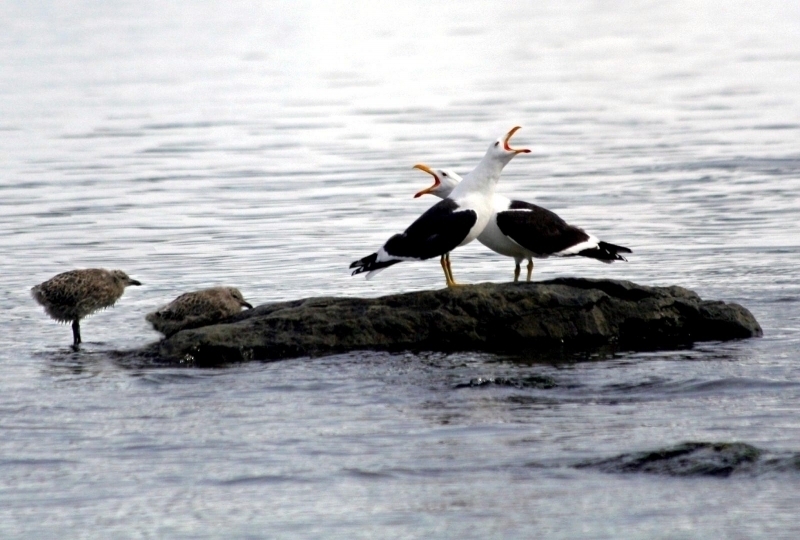 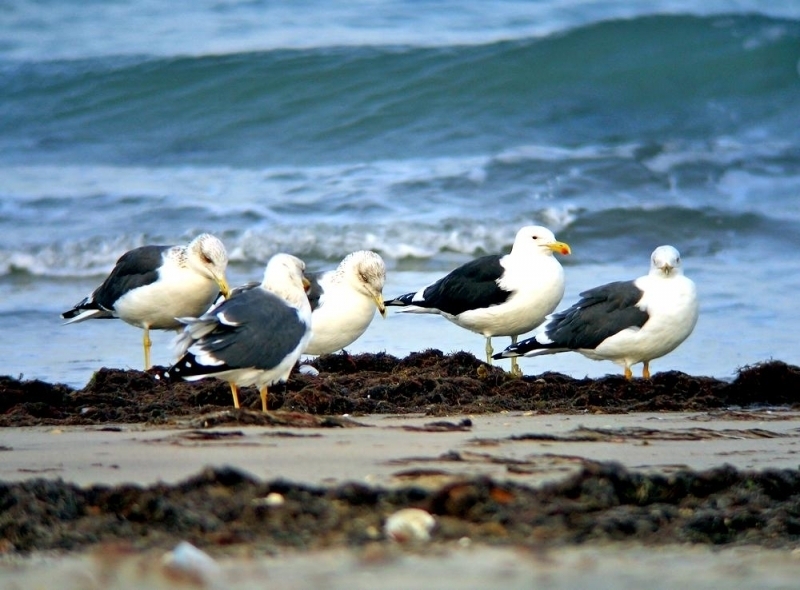 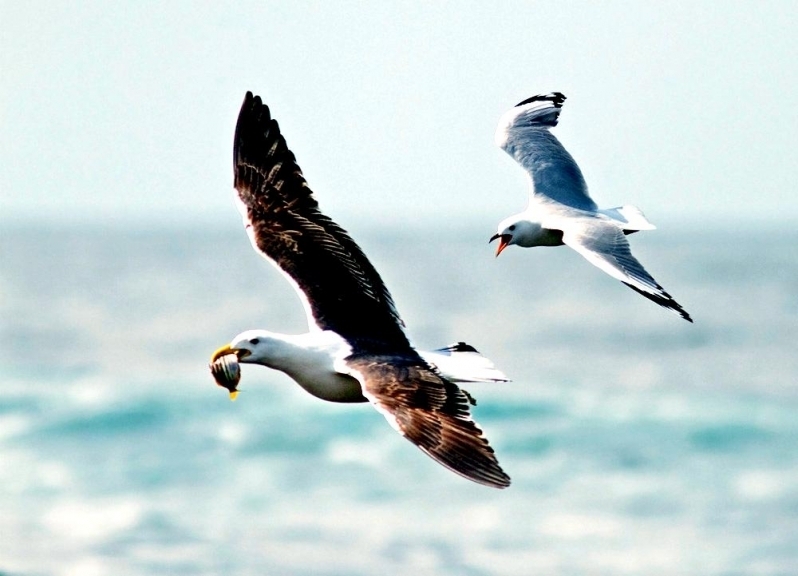 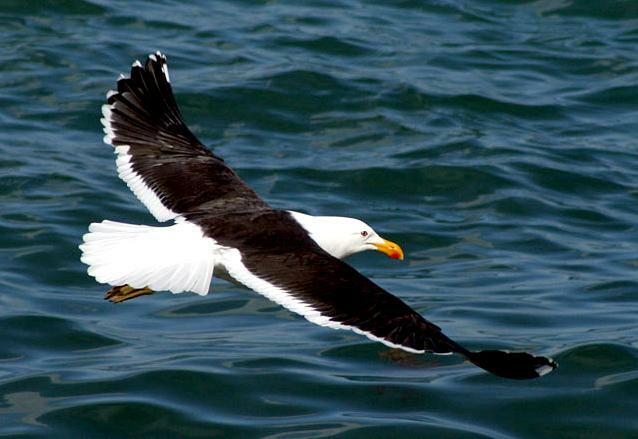 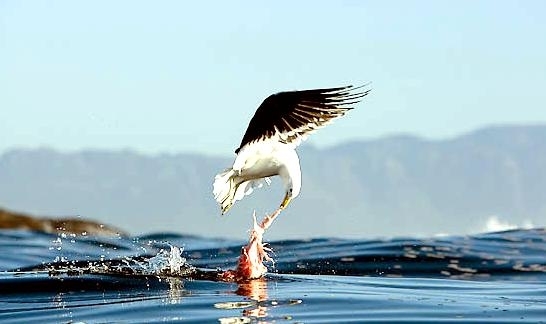 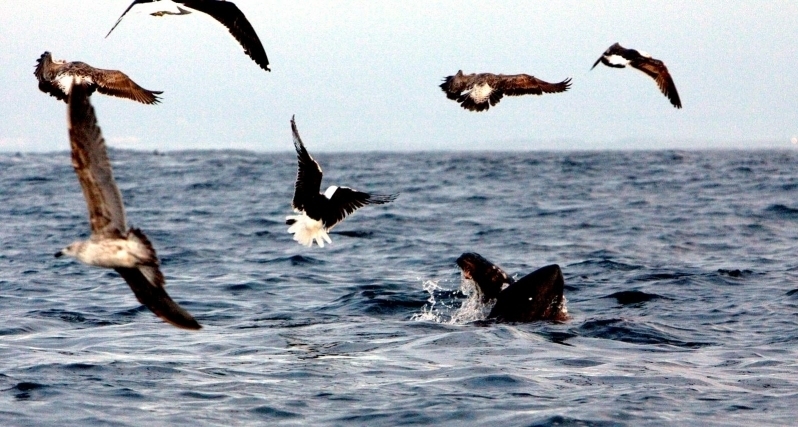 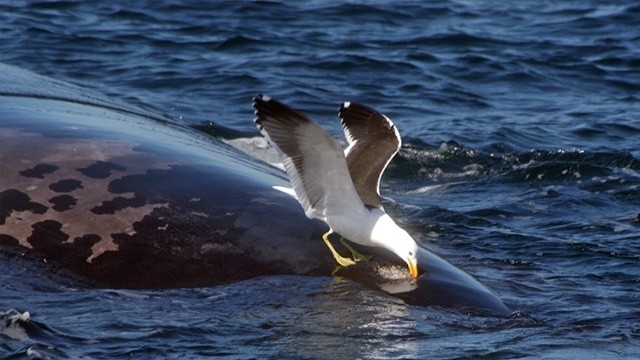 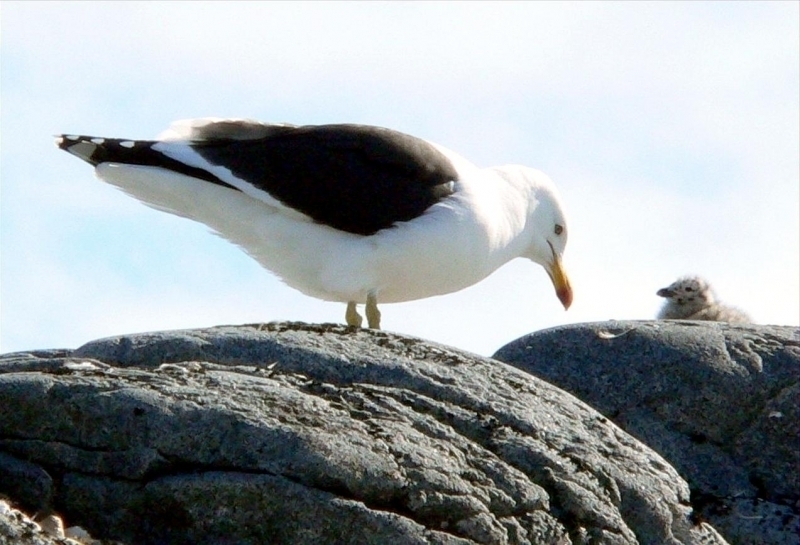 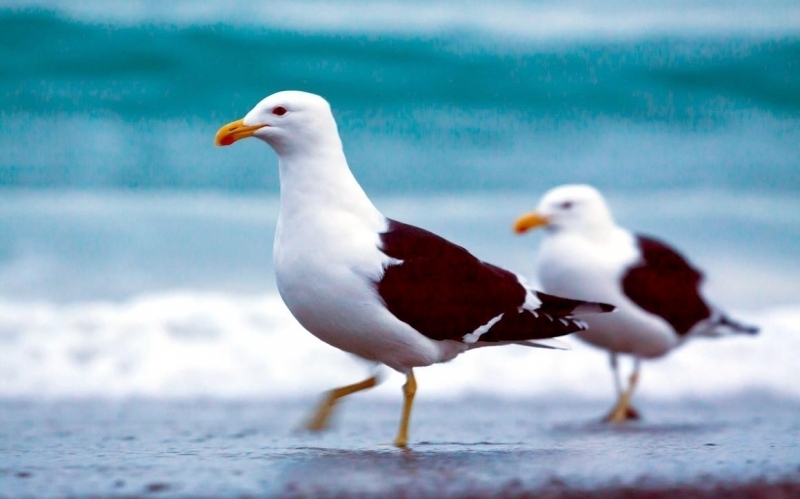 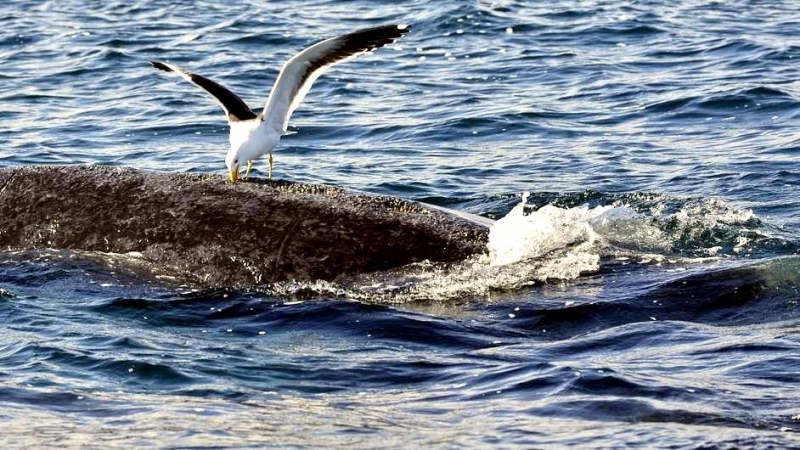 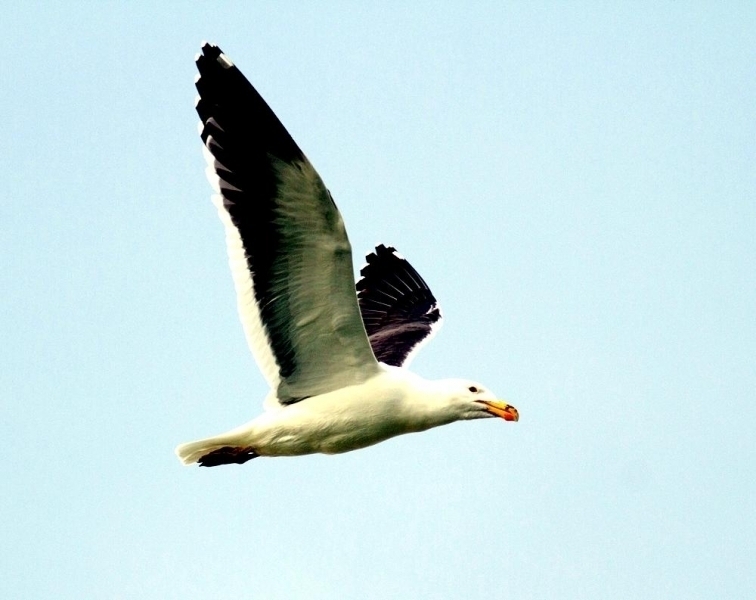 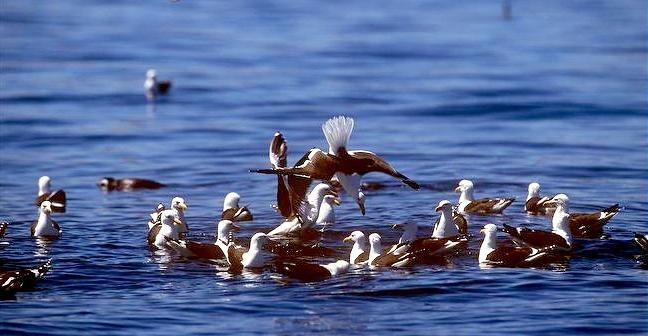 Most Kelp Gulls ultimately return to colonies where they were born. 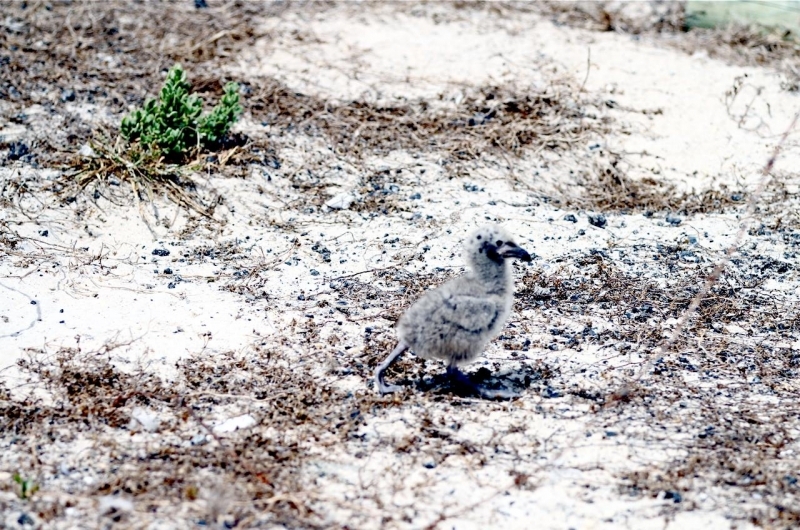 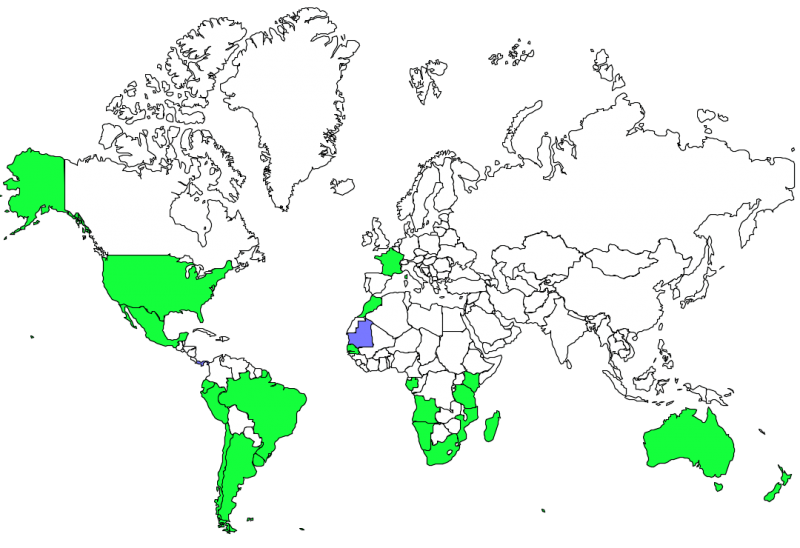 No conservation problems are known to exist for this species at the present time. 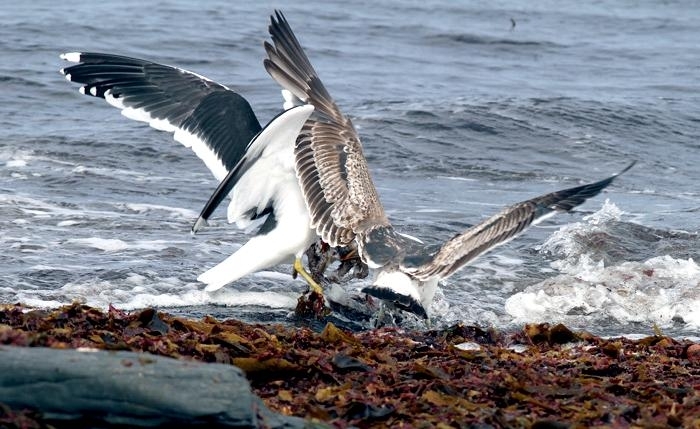 In fact, recent populations of Kelp Gulls have increased in some locations perhaps due to human subsidies: trawler fish discards, scraps from fish processing plants & coastal rubbish piles.